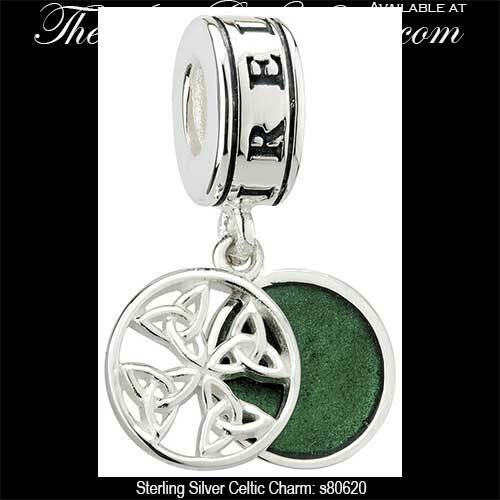 This sterling silver Celtic charm features dangling Trinity knots along with green enamel accented disk. 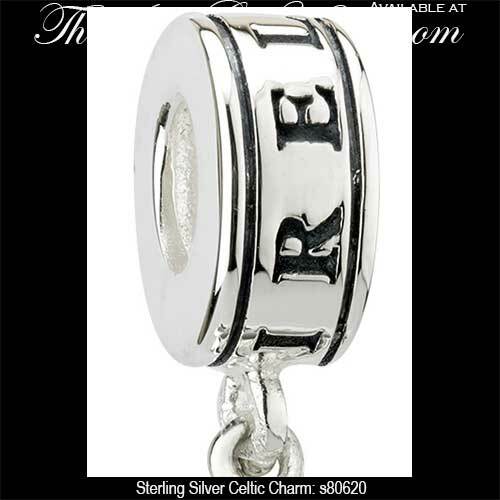 This sterling silver Celtic charm features two 3/8" wide dangling disks along with a 1/4" wide bead that is engraved with the word Ireland. One of the disks features four filigree Trinity knots and the other disk is a green enameled circle. The Celtic bead will fit all competing charm bracelets and it is made by Solvar Jewelry in Dublin, Ireland. 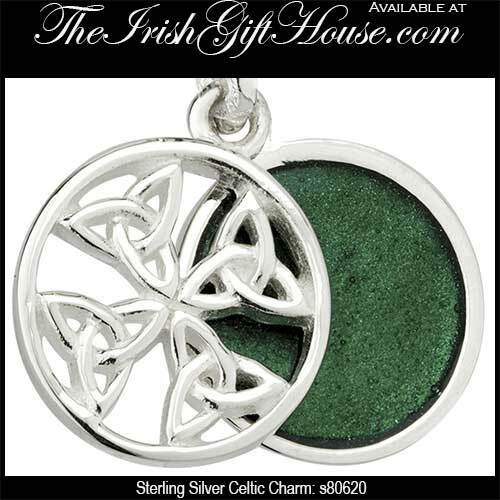 The Trinity charm is gift boxed with a Celtic knot history card that is complements of The Irish Gift House.